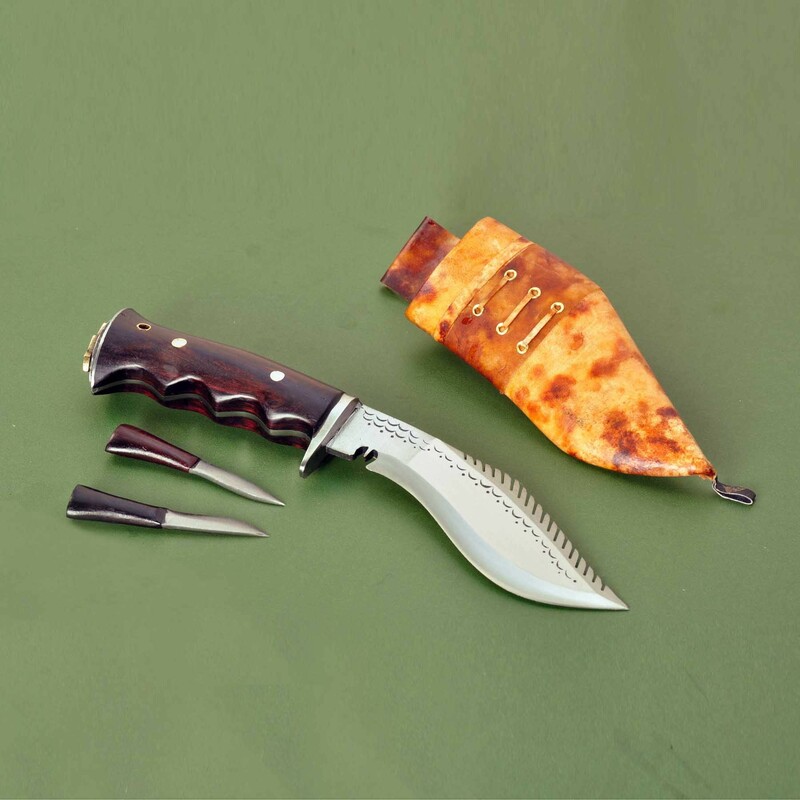 This is a 6 inch Dragon kukri with a blocker and gripper handle. 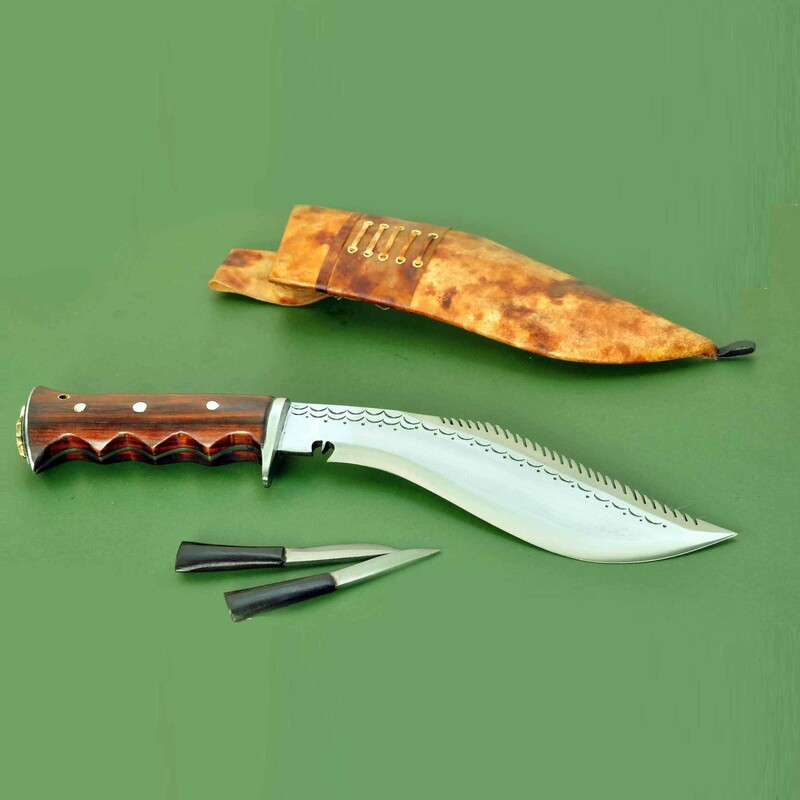 This Kukri has one of the best handles which makes it extremely comfortable to handle. The Grip of the handle is made in such a way that it fits right in the fingers, making it easy to hold the Knife comfortably. It is a full tang blade, fixed rosewood handle with 2 rivets glued traditional Nepali glue called Laha. 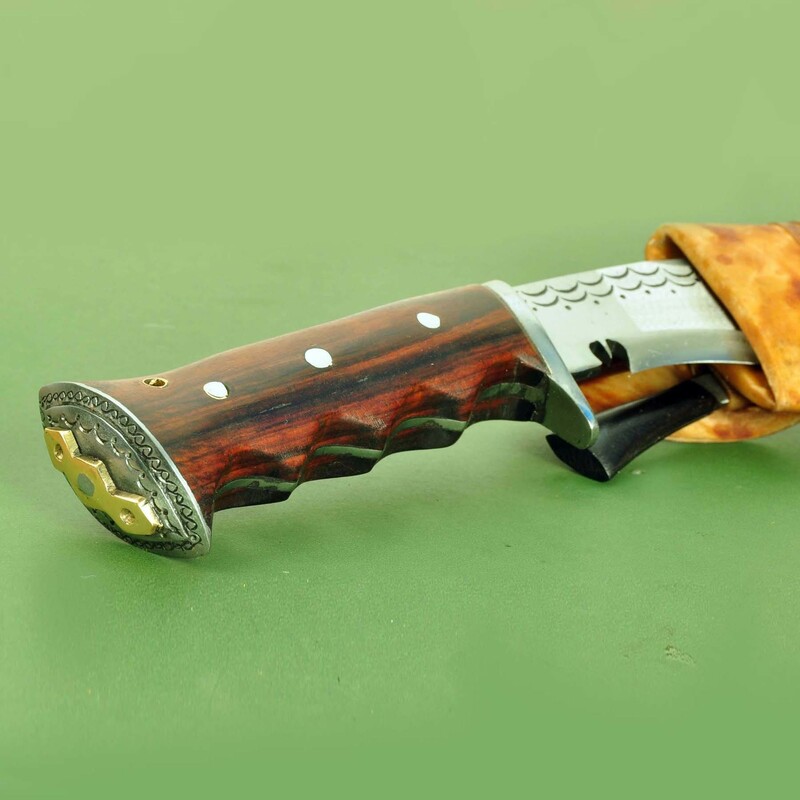 The length of the blade is 6 inch and handle is 4.5 inch, making the overall length 10.5 inch. The Khukuri weighs about 485 grams.The Khukuri comes with two small accessory blades which are used for polishing and sharpening along with a water buffalo and pinewood scabbard. Weight: 485 gms (17 Oz Approx).